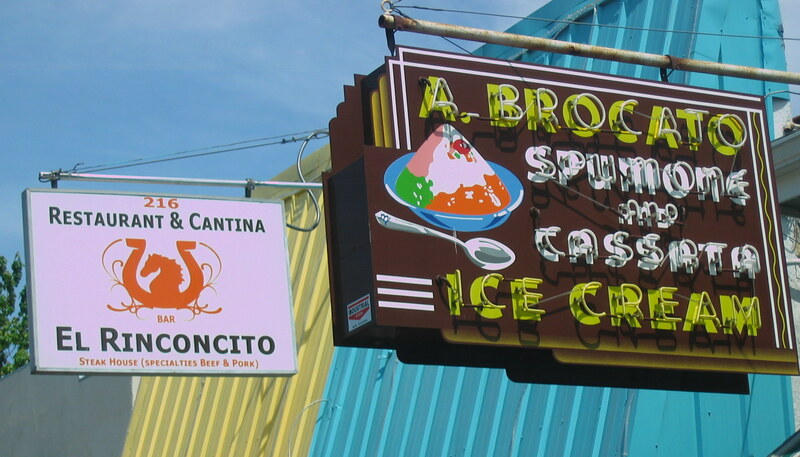 Old and new, Brocato’s and El Rinconcito. When Angelo Brocato’s gelato and pastry shop reopened in September, 2006, it seemed like a beacon of hope in a neighborhood that was still very much on the mend. 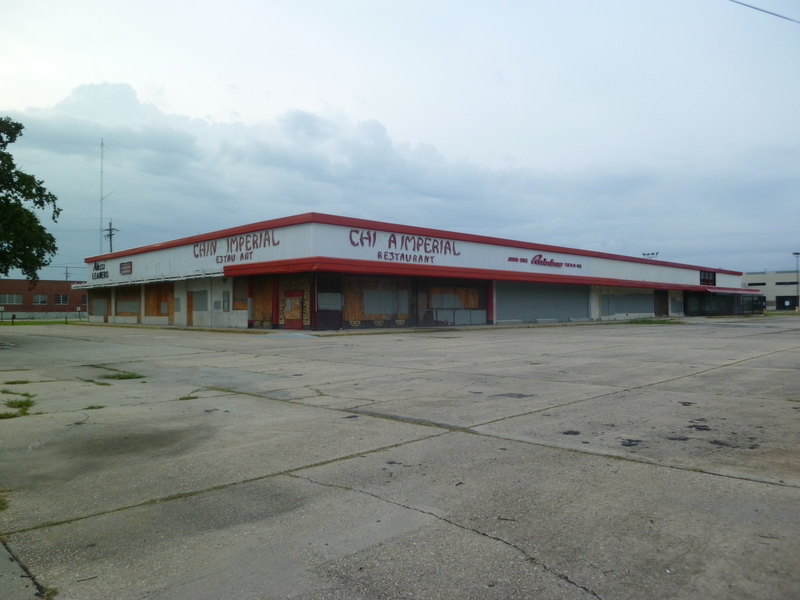 I don’t think there were very many other businesses open yet on that stretch of N. Carrolton Avenue. I do remember the large crowds that gathered to get some gelato or cannoli, the band that played as we waited on line, and the sense of happiness at having Brocato’s century old shop back in business. Located in a diverse Mid-City neighborhood, Brocato’s is the kind of place frequented by people who live here and its rebirth suggested that maybe the city would return to some semblance of what it had been. Within a few years of the 2005 floods, however, the debate began to shift away from recovery to the future. The city’s demographics were changing. Many people could not return to the city, public housing was being destroyed, and the cost of living in New Orleans started to rise. Many Latino workers, having arrived to help rebuild, decided to stay and make lives for themselves here. Young college educated people—often white—were moving to New Orleans and moving into neighborhoods that had previously been mostly black. Now the concern was whether or not the neighborhoods of New Orleans, the site of vibrant cultural life, would survive these changes. New Orleans leading thinkers have developed a cottage industry explaining this situation, either decrying the threats to local culture, celebrating the “resilience” of any surviving parts of it, or arguing that everyone has misunderstood the central issues. Starting in the summer of 2010, I gathered a group of UNO students to study the restaurants clustered around the intersection of N. Carrolton Avenue and Canal Street, in New Orleans. This area is a kind of microcosm of the transformations that have marked the city since 2005. For a long time, most of the restaurants were local businesses, with very few national chains, although that has changed significantly in the past 2 years. Some of restaurants rebuilt after the floods, while others were replaced by new businesses. There are even a few upscale restaurants in the neighborhood. The changes seem to reflect deeper trends in New Orleans business and consumption patterns. A number of commercial districts in the city have had remarkable rebirths since 2005. Historian Rien Fertel has written about rediscovering Broad Street, making an interesting case for why that road represents some of the city’s demographic and culinary trends. Freret Street, a commercial strip in uptown New Orleans, has an interesting pre-Katrina history and, in the years since, has become a kind of hipster mecca, but one that some think represents a good side of gentrification. Oak Street, home of the Po’Boy Festival, has also been the site of significant redevelopment in recent years. St. Claude Avenue, at the center of historically black communities, has become a center for controversy about gentrification and redevelopment, but is also home to a lively new array of eating and drinking opportunities. Oretha Castle Haley Boulevard, in Central City, has become the site of a distinct combination of restaurants and cultural institutions, including the new home of the Southern Food and Beverage Museum. Williams Boulevard, in the relatively distant suburb of Kenner might be the best index of the city’s future, with an array of restaurants representing the diversity of the populations in New Orleans today. Scars of disaster, 2010, the site is now home to a shiny set of national chains. My students tried to trace out the commercial history of the Carrollton/Canal area, interviewing owners, workers, and customers. In 2010, the scars of the 2005 floods were still visible, with at least one former strip mall still standing in ruins. The BP oil spill was an ongoing problem and the local seafood purveyors expressed deep concerns for their future. What was particularly striking, however, was the dominance of local businesses. 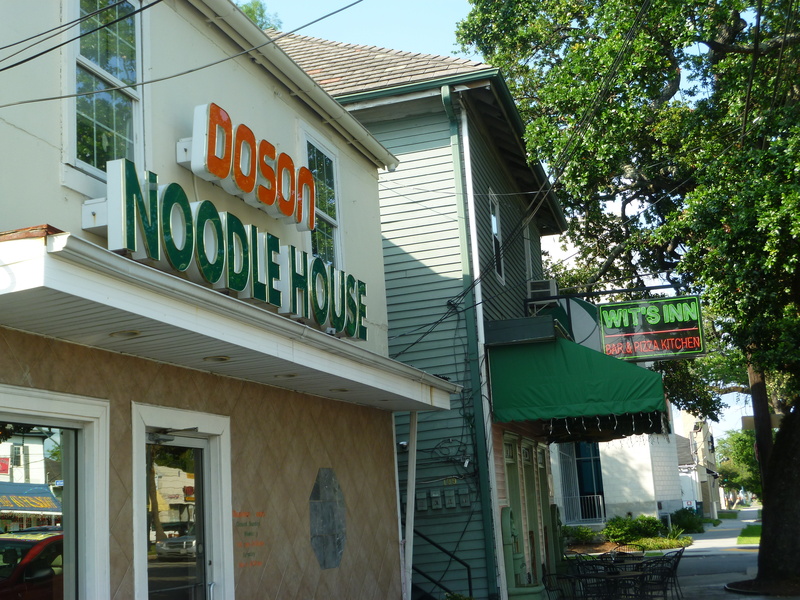 We found interesting stories—how Doson Noodle House, a Vietnamese restaurant, evolved from Oak Street’s wonderfully named Chinese’s Chinese, for instance, or the sad story of Chef Michel Foucqueteau, whose last New Orleans restaurant, Chateaubriand, did not survive the floods. We heard about the changes in the kinds of businesses in the area, as beauty salons, hardware stores, car dealers, and pool halls, gave way to more and more restaurants. I have been especially happy to see my students enthusiastically embrace this research. I regularly teach a course in applied anthropology that has a methodological focus. By picking one area, I can treat the class as an applied research team, giving them an opportunity to produce a series of reports that can resemble a real applied project. The students tend to take this project personally, because they live or work in or near the area, have family history there, or frequent the restaurants themselves. The project allows students to learn about a wide range of methods, starting from developing a sense of how to observe the organization of the street, to conducting interviews, oral history techniques, archival research, and more. They also learn about teamwork and about how to put together both written reports and visually interesting presentations. This is an ongoing project. We will start updating the blog again this spring, when a fresh group of students will return to document changes in the area. There are some important questions we need to answer. The empty lots that marked the area in 2010 have been replaced by a shiny cluster of national chain restaurants. What impact will these new places have on the local businesses? The Lafitte Greenway, merely a dream for activists and planners in 2010, is now open, providing a bike path directly from the neighborhood to the French Quarter. How will this new amenity impact the community? Will the enormous new medical complex—not far from our area of study—change the neighborhood and the businesses in it? There are also some deeper issues that our research can explore. Why have food (and drink) businesses become so central to reviving (or gentrifying) urban neighborhoods? What does the particular mix of restaurants and people in the Carrollton/Canal area tell us about the future of New Orleans distinctive culinary culture? The neighborhood itself never stops changing. We have seen a few restaurants come and go, including an outpost of the local pizza chain Italian Pie (replaced by Milkfish, a Filipino restaurant), as well as Juicy Lucy’s, a stuffed hamburger joint that had itself replaced Fiesta Latina, a Central American restaurant (still open in Kenner!). The former Kjean’s Seafood, maker of po’boys, boiler of crawfish, and seafood retailer will soon be replaced with Bevi Seafood, a slightly more chef-driven version of the traditional New Orleans seafood joint (that makes po’boys, boils crawfish, and retails seafood). The announcement that “legendary barman” Chris McMillian will be opening a new restaurant in the Carrollton/Canal area could be a sign that hipster dining is arriving in the neighborhood. According to nola.com, the menu will include “pretzel brioche sticks, bulgogi wraps and chicken chimichurri kebabs” and, in the same article, McMillian states that “Mid-City is ready for craft cocktails.” Maybe. Julia Yocom, longtime neighborhood resident and one of the original members of our research team in 2010, told me that the area is more of a “High Life and a shot” sort of place. Whichever it is, our students will be there to document it.